Urology is a surgical specialty the pertains to the treatment of conditions involving both male and female urinary tracts as well as the male reproductive system. Health professionals who specialize in this field are called urologists, and these men and women are highly trained to detect, diagnose, and treat conditions and diseases related to these anatomic systems. At RCHC, our primary focus is to provide quality services to make your stay enjoyable and to provide you with the best tools available to stay strong and healthy. For more information on Rawlins County Health Center’s urology services or to make an appointment, contact us today. 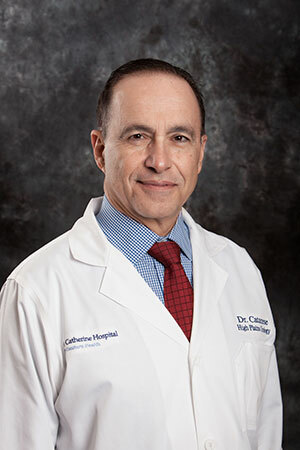 Dr. Catanese joins the Rawlins County Health Center Specialty Clinic from Garden City, KS. He received his medical degree from Georgetown University School of Medicine and has been in practice for more than 20 years. He is board-certified in Urology. Dr. Catanese will join Rawlins County Health Center Specialty Clinic via tele-medicine. Patients will be able to see Dr. Catanese as part of his daily practice and can schedule their appointments through his office at 620-275-3760.